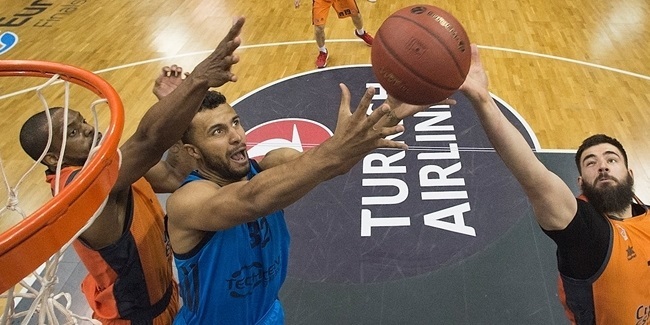 There were many times during ALBA Berlin's 87-85 victory over Rytas Vilnius on Tuesday night that the game seemed lost for the hosts. But the man that stood tall when ALBA needed a hero most was Martin Hermannsson. The guard from Iceland not only shined with a career-best 25 points on 6-of-8 three-point shooting, but he came through when it was most critical. Rytas dominated the second quarter to take a commanding 39-57 halftime lead, which grew to 21 points early in the third quarter. Even the most dedicated ALBA fans could be forgiven for giving up on this game. And then Hermannsson decided to step up. "We needed something, we needed some spark to get us going and if it wasn't going to be me, then who else? Somebody needed to step up, especially with Peyton out," Hermannsson said to the television cameras after the game. "I just took the shots that were open, started feeling it and kept going." He missed the go-ahead three-pointer. It Rytas had rebounded the ball, the game would have been all but over. However, Joshiko Saibou fought for the offensive rebound and missed a putback and then Luke Sikma grabbed the offensive board and heaved it to Hermannsson. With time running out, Hermannsson made his move and was fouled by D.J. Seeley with 1.6 seconds remaining. This time, Hermannsson buried 3 free throws to win it for ALBA. 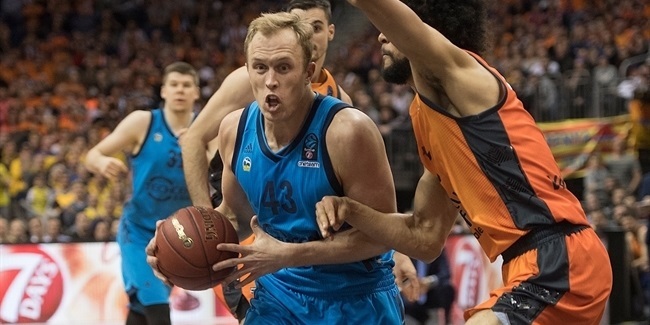 A EuroCup rookie with only one season of top-level basketball in Europe under his belt before he joined ALBA, the 24-year-old Hermannsson has emerged as a team leader and a star-in-the-making. Injuries have caused him to miss four EuroCup games this season; in those games, ALBA was 2-2. With Hermannsson on the floor, ALBA is 8-2. He is shooting 50.0% on three-pointers for the season and ranks second on the team in scoring (14.3 ppg.) and third in assists (4.4 apg.). We may remember this game as Hermannsson's coming-out party, which as an added bonus brought the team ever closer to a spot in the Quarterfinal Playoffs. One week after Luke Sikma earned EuroCup MVP of the round honors and with star playmaker Peyton Siva injured, Hermannsson lifted ALBA on his shoulders and gave reasons for ALBA fans to dream about what might be when the entire team is firing on all cylinders.